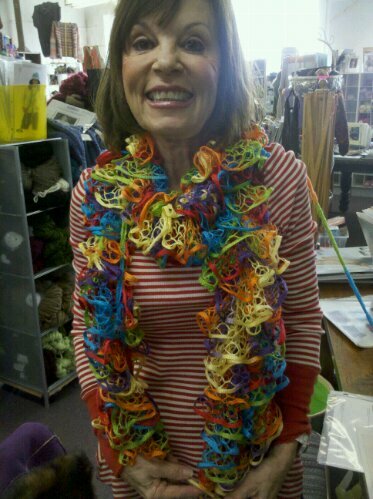 Mass Ave Knit Shop - Check this out! Way to go Linda! A couple days work! Now I have to knit one for the cruise on sat!! 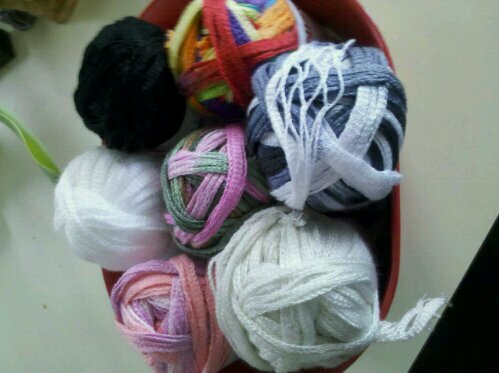 Yarn is Marina from Universal Yarn. Linda is on her 2nd ball. One ball would just make it shorter. Fellow Cruisers call the shop if you want me to bring you a ball or 2. I am shipping a box tom. (Tuesday ), so I can pack it. Needle used is a straight 10. Yeh!